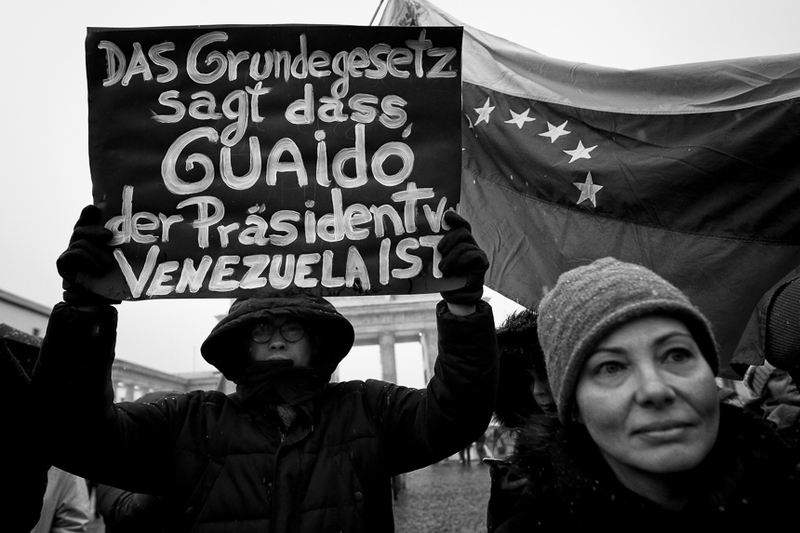 Around 100 people took part in a rally against the President of Venezuela Nicolás Maduro at the Brandenburg Gate in Berlin. 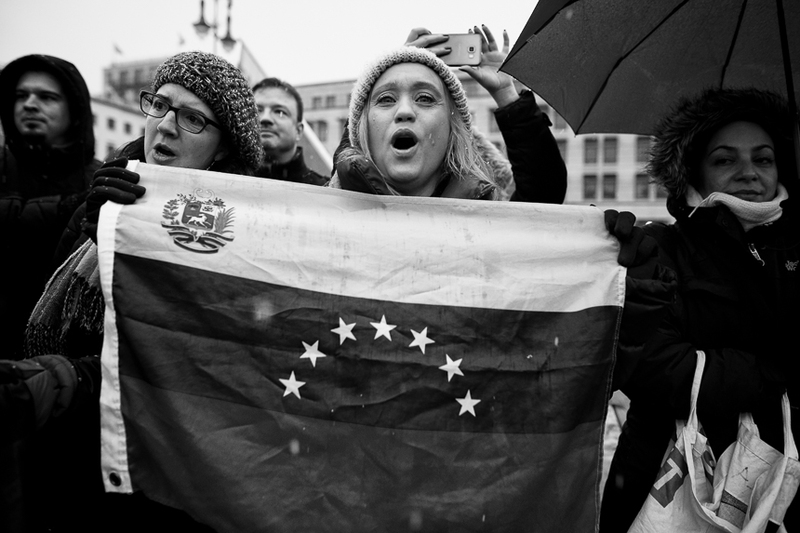 They demanded an end to his rule and supported the self-proclaimed interim president Juan Guaidó and thanked Germany for the recognition of Guaidó. 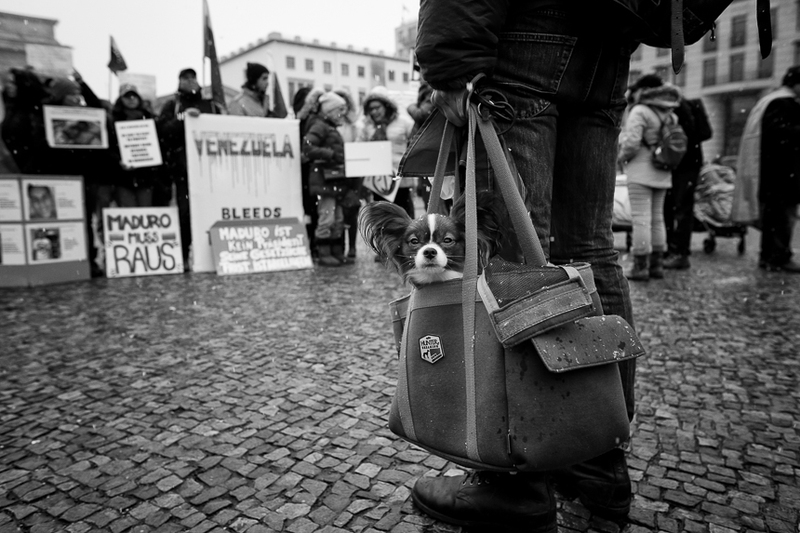 On signs, they lamented the thousands of deaths that Madura's rule has claimed.